Gone are the days when I could, in good conscience, roll up to a fast food restaurant and order a double cheeseburger and fries. Just can't do it. Don't want to do it. Feeling a little queasy right now just THINKING about doing it. Now I don't consider myself a health nut by any means, but I am absolutely making more of an effort to be aware of the food I put into my body and the effect it has on my overall health. I want to be educated to make wiser dietary choices for myself and for my family. When our pediatrician recommended flaxseed for my eldest daughter, as a dietary supplement to help with both constipation and a chalazion (clogged oil gland in her eye), I began researching. Nutrition expert, Elaine Magee's article for WebMD details how Omega-3 acids, lignans, and fiber in flaxseed can lower risk of cancer, heart disease and diabetes. But the list of benefits from flaxseed goes on and on- from helping to lower cholesterol to boosting mood and the immune system. For years now, we have been grinding our own flaxseed for daily use in our diet. It's positively yummy and so simple to use. We stock up at our local grocery store. Before you determine which kind of flax to purchase, know that the best way to benefit from this "wonder food" is to grind it before consumption. These tiny lil' seeds are PACKED full of goodness, but you'll need to crush them up to get the most benefit. 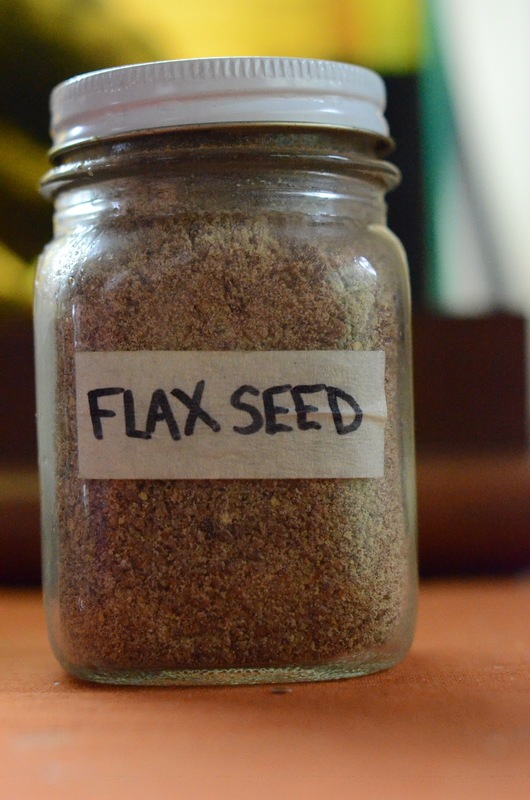 An article for Mayo Clinic reports that the body cannot digest whole seeds as easily as ground flax. You'll get the greatest health benefit out of flaxseed by grinding it at home, but you can purchase it already ground from many markets and health food stores. 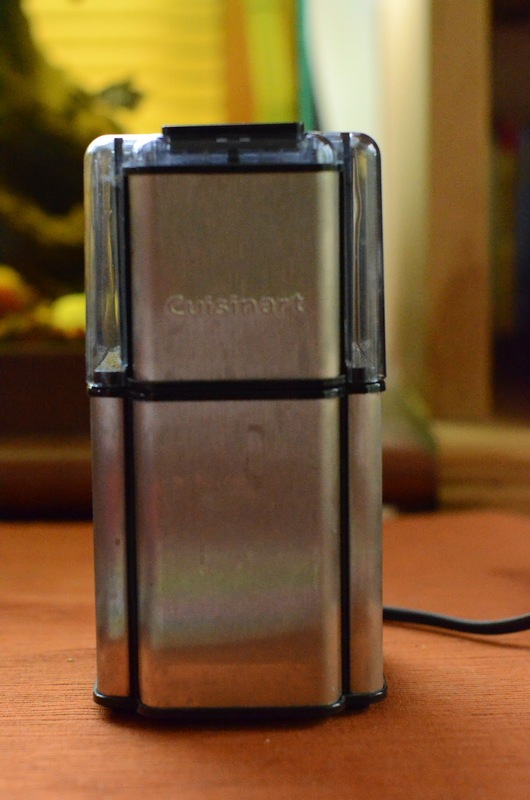 We use a Cuisinart Grind Central grinder for our flaxseed because it is compact and easy to store. Pssssssttttttt...also if you need a cute gift for friends or family, small grinders are reasonably priced and would go perfectly in a little basket with a bag of fresh coffee beans or, of course, flaxseed! Food for thought. Because the flaxseed puffs up when it is ground, I only fill the cup about 3/4 of the way to the top. Using a spoon, I transfer the ground flaxseed into a mason jar for storage. Once the bag of seeds has been opened, I also transfer the remaining whole seeds into a separate mason jar to maintain freshness. Ground flaxseed ready to be moved for storage. It's always wise to add a label to anything you've placed in an otherwise unmarked container, so I use masking tape and a Sharpie marker to make my own. Seeing the label also acts as a visual reminder to use my flaxseed more often. 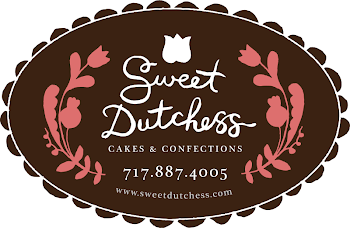 Without it, I feel like the jar would blend into the background in my visual field when I open my refrigerator, so I recommend creating a bold label of your own. Ideally, the freshness of ground flaxseed is best preserved with freezer storage, but because I don't open my freezer as often as my refrigerator, I store mine where I see it most- on the top shelf of my fridge at eye-level. Again, when I see it right in front of me, I am more likely to remember to use it in my diet. I keep my flaxseed at eye-level in my refrigerator so that I remember to use it frequently. Flaxseed is, in my humble opinion, completely delicious! In our home, we use it most in pancake batter and on top of cereal, but it can be used in countless dishes. Click here to download some free, mouth-watering recipes that utilize flaxseed for any course, from appetizers to desserts! Typical breakfast cereal becomes much more of a treat with flaxseed sprinkled on top! Of course, always use common sense and do a little homework before making any significant dietary changes. 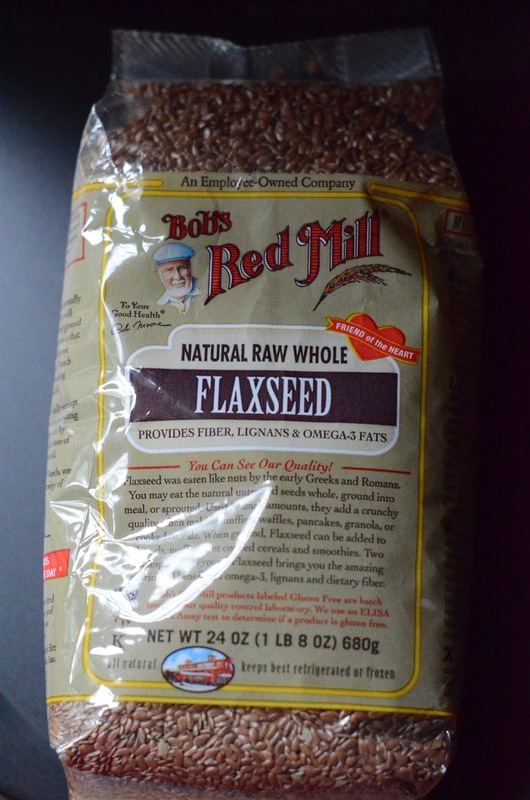 I recommend reading this article from the Mayo Clinic to make sure flaxseed is right for you. During my pregnancies and while breastfeeding, I found conflicting information about flaxseed consumption, so I chose to refrain. Talk to your doctor about foods to avoid if you are nursing or expecting a wee one. So does flaxseed really work? High cholesterol runs in my family, so in order to be proactive, I get mine tested twice a year. My cholesterol tested in the normal range before I got pregnant, when I was using flaxseed daily. As soon as I learned that I was pregnant, I stopped consuming flaxseed for 21 months, until I finished breastfeeding. My cholesterol test results were higher during this period than ever. Interesting! Now that I have been using flaxseed again, my levels are back down. Perhaps the changes of pregnancy and nursing alone were the cause of the higher cholesterol levels, but maybe...just maybe that flaxseed does contribute to keeping my LDL levels down. This article from National Library of Medicine makes me believe the flaxseed may have played a significant role in lowering my "bad" cholesterol. I LOVE learning about healthy new foods and how they can positively affect daily life. Flaxseed has been great for my family and is doctor recommended. Evidently, I really enjoy the entire process of grinding, storing and using flaxseed in my home. It makes me happy! Must be those mood elevators. If you use flaxseed in your diet and have any savory recipes to share, please send them my way! Bon appetite!